If you’ve ever shopped for a cigar humidor, chances are you’ve come across the term “Spanish cedar” in reference to interior lining, but what exactly is Spanish cedar and why is it found inside most good quality humidors? For starters, Spanish cedar (botanical term “cedrela odorata,”) does not originate from Spain as its name would imply, but is generally imported from Brazil and other countries of South and Central America. Secondly, Spanish cedar is actually not cedar at all, it comes from the Mahogany family. It is a salmony red, tight-grained wood with a very spicy aroma. In addition to its common application as a humidor lining, Spanish cedar is also used in honey production (beekeeping,) and occasionally for tops or veneers on certain kinds of electric guitars. While there are other, less expensive types of wood used to line humidors, such as American (or Canadian) red cedar, or Honduran mahogany, Spanish cedar offers certain benefits that these others don’t, and is generally considered to be the best option. In addition to having a higher humidity absorption capacity that ensures a stable climate and prevents mold, Spanish cedar also has a special odoriferous quality that repels the infamous tobacco beetle. This same quality is also known to support the cigar aging process and have a positive effect on the flavor of cigars during long-term storage. 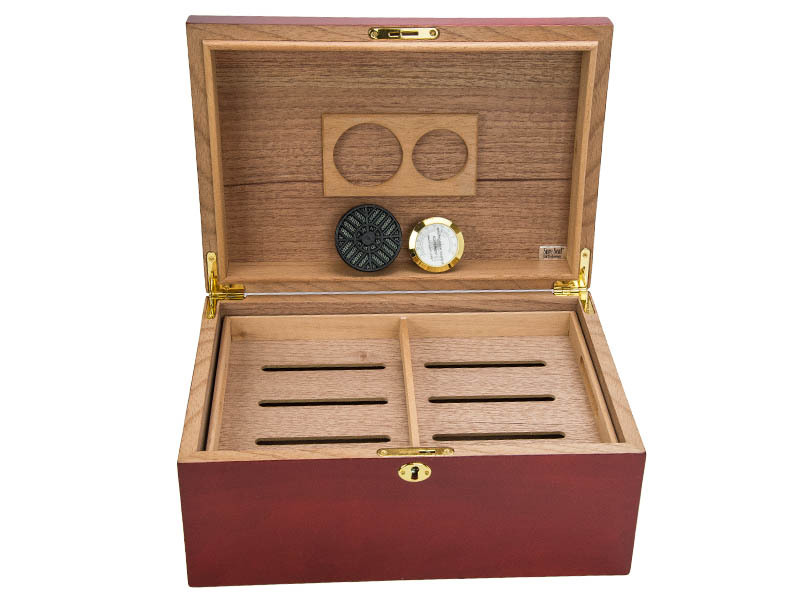 So, if you’re in the market for a new humidor, your best bet is to look for one lined with the magic of Spanish cedar. Lucky for you, nearly all of the humidors we carry have it, check out our wide selection here.